Login or Join to download. The AASHTO Greenbook WB-15 semi truck template, turned detail item. Metric units. 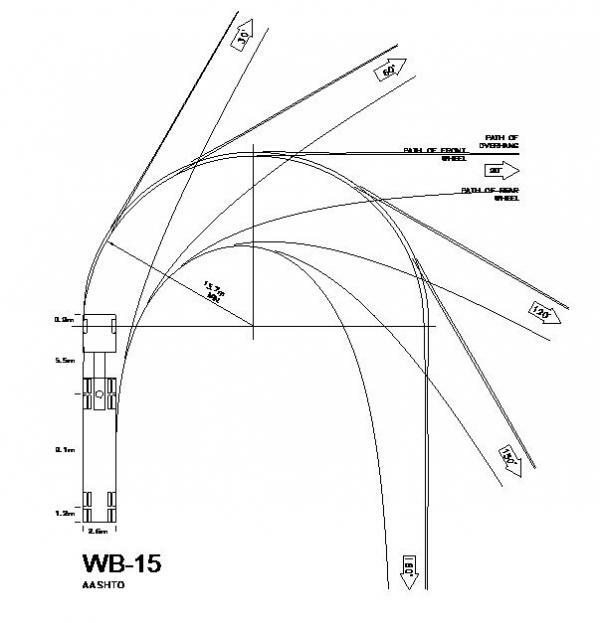 This is a detail item which shows turning radii for an AASHTO WB-15 trailer truck. It is used to verify that the design vehicle will turn without bumping into things, or climibng onto curbs. The radii are parametric, which means you can choose to show all turn angles, just one, or the combination of angles that you want.